Love it! It reminds me a bit of the Itchy and Scratchy opening sequence. I especially love the check-mate. Brilliant. 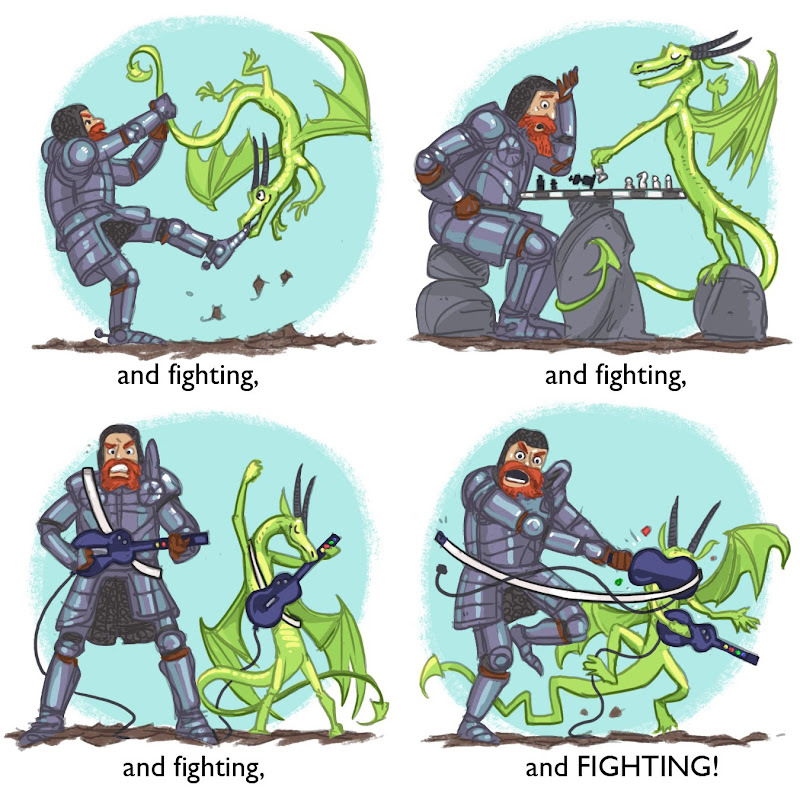 Because what else WOULD Knights and Dragons fight at but chess and Guitar Hero? Ever try to play Guitar Hero in a suit of armor? It's HARD! This one totally cracked me up! I love it!